If a compact luxury sport sedan is in your future, then the new Acura ILX is a great choice. With a 2.4L engine that delivers 201 hp via an eight-speed automatic transmission, along with Jewel Eye LED headlights, the ILX promises sporty performance and unique style through exterior features. Once you browse the ILX options available near Dix Hills at Acura of Huntington, contact our team to schedule a test drive and begin the financing process! With the new Acura ILX, there’s no shortage of customization. Thanks to the various ILX packages available for purchase, you can make your new Acura meet your needs. The A-SPEC package, for example, incorporates details inside and out to bolster a bolder, sportier look, while the Technology package promises high-tech features like the Acura Navigation System, GPS-linked climate control, and more. Go with the Premium package for luxurious touches including perforated Milano leather sport seats, or with the AcuraWatch Plus package for advanced safety systems. However you outfit your new Acura ILX, you can rest assured that it will exceed your expectations. 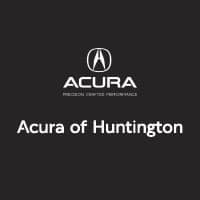 Make the drive from Commack to Acura of Huntington today to test drive it for yourself. Check out the Acura ILX interior features to help you make your decision!